Download here the latest press releases from Trenz Electronic in an editable Word format (by following the links below) and associated images in a high resolution jpeg format (by clicking an image). 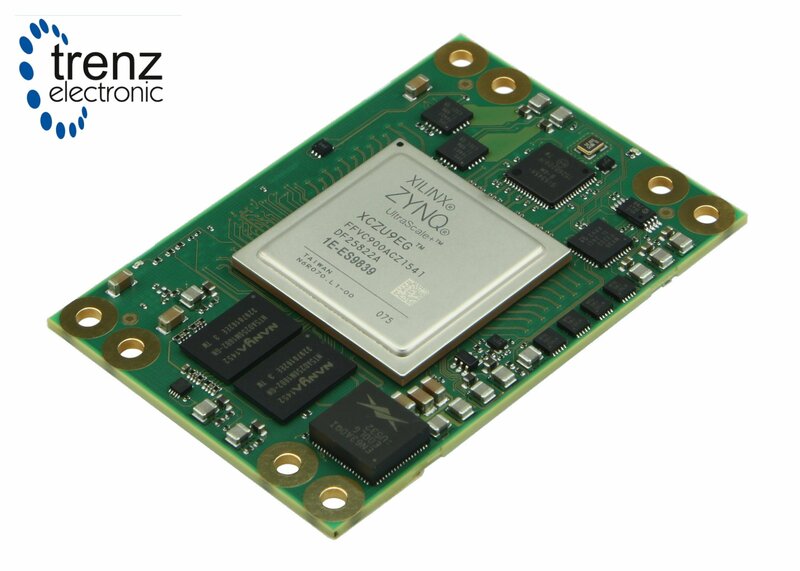 Founded in 1992 and headquartered in Bünde, Germany, Trenz Electronic GmbH is a provider of innovative FPGA and SoC-based electronic design services and solutions. Its design and development services include design-in support as well as turnkey development which typically covers all steps from product specification, hard- and software design through to prototyping and production. The company is particularly specialized in the design of high-speed data acquisition, high-accuracy measurement and embedded digital signal processing systems based on FPGA and CPU architectures. Additionally, the company is a provider FPGA/SoC and MCU-based development boards/tools and a supplier of OEM modules.